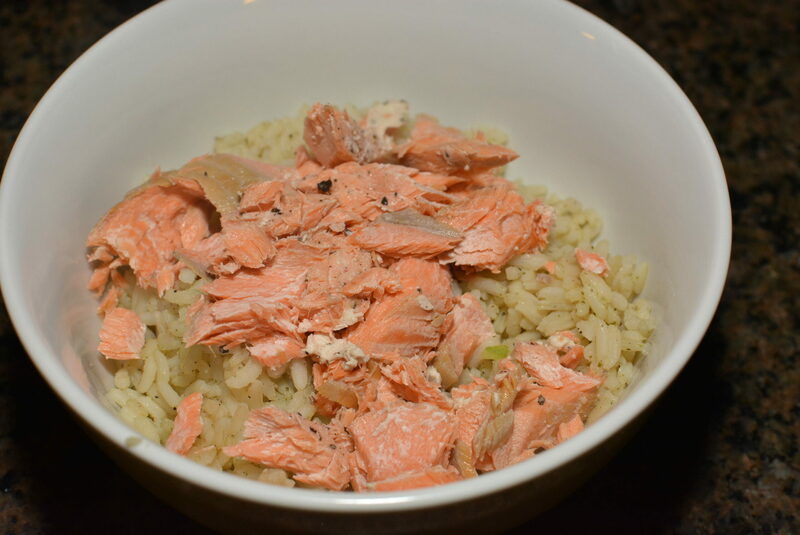 A few weeks ago, my hubby and I grilled some salmon for dinner. Since we had tons of it leftover, we decided to put the extras in a container and freeze it. Well, this past week, I was going through the freezer trying to declutter and clean things out, and came across it again. It really wasn’t enough for all of us to have for our main dish, so I decided to use it in rice bowls. Rice bowls are pretty much my go to thing to use up any and every leftover. So much variety, you can use any meat, add any toppings desired, and it is always a hit! This time around, I used lime, cilantro, peppers, etc. to make it more of a taco type bowl. My hubby went crazy over it and had the last portion for lunch the following day! Whether you make these using leftovers, or make this fresh, you will love it. 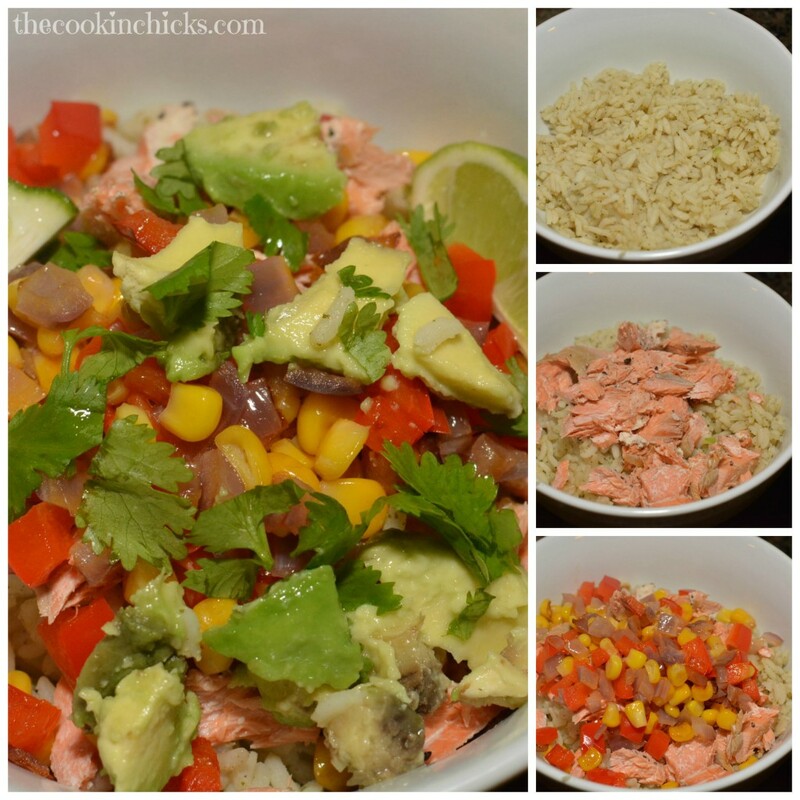 Very flavorful, not too heavy, and a protein packed dinner!! Cook salmon and flake apart. Set aside. Add in the garlic, corn, red onion, and red pepper. Cook about 5 minutes. Add in the drained black beans and allow to cook an additional 1 minute. 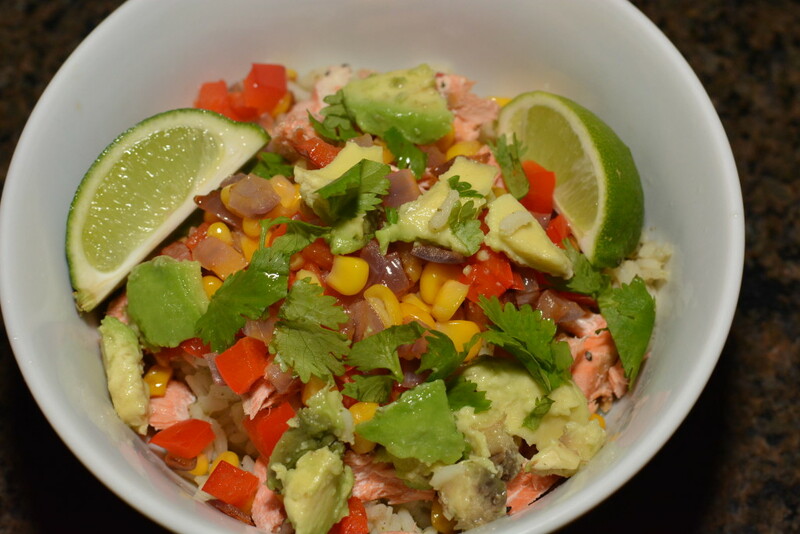 To assemble, add about 1/2 cup cilantro lime rice into each bowl. 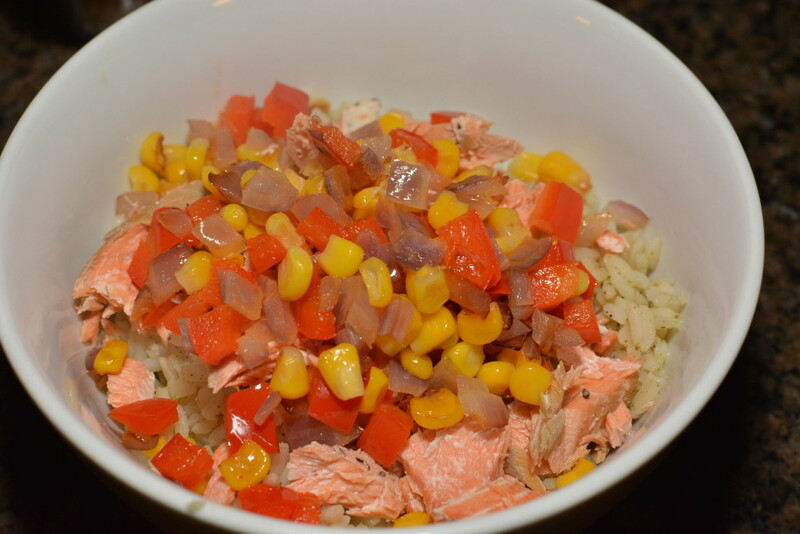 Top with corn/pepper/onion mixture, followed by the cooked salmon. Top with cilantro, lime juice, avocado, and sour cream if desired. 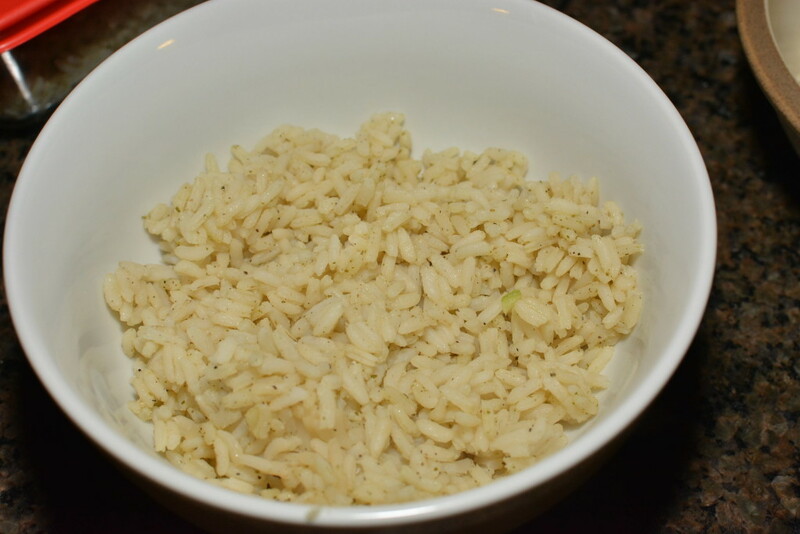 *To make cilantro lime rice, cook rice (any type works, I use jasmine or brown). Once cooked, add 4 tbsp. fresh lime juice, and the zest from 2 limes. Stir until combined. Use as recipe above states!